Southern Italy — known as Mezzogirno thanks to its intense, midday sunshine — is very different to the country’s northern regions. The area at the bottom of “The Boot“ consists of the four regions of Campania, Apulia, Basilicata, Calabria, and the two islands of Sicily and Sardinia. Surrounded by the Adriatic Sea, the Ionian Sea, and the Tyrrhenian Sea, the area is popular for its beautiful beaches and coastal areas. The Amalfi and Cilento Coasts begin just south of Naples, Italy’s third-largest city. 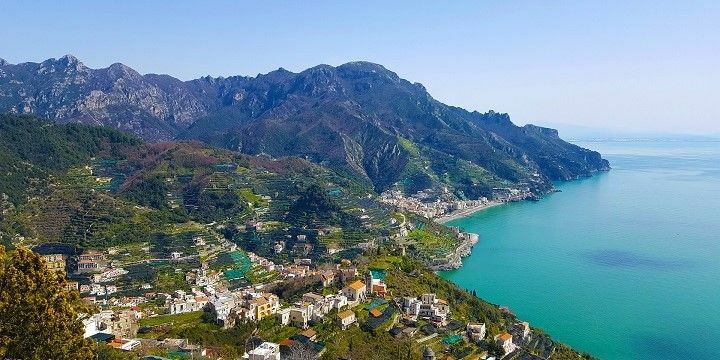 The first stretches from Salerno to Sorrent, and can be explored via a narrow and tranquil coastal road, lined by small towns and lush forests. It is well-known among international tourists, and offers romantic views over sheer cliffs and rocky beaches. The Amalfi Coast stretches from Salerno to Sorrent. The Cilento Coast, on the other hand, is more remote and popular among locals. Along this coast, you’ll find sandy beaches, picturesque fishing villages, as well as Italy’s second-largest national park, Cilento National Park, with soft hills, long rivers, and olive trees. The park is home to 2,000 plant species, the incredible Calore gorge, and impressive underwater reserves, with unique marine wildlife. 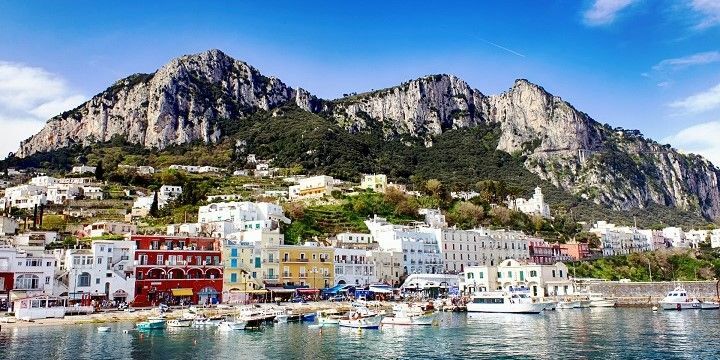 It’s just a stone’s throw from the coast to Capri island in the Gulf of Naples. The island is famous for its mythological history (such as the bewitching sirens in Homer’s Ulysses), and its enchanting sea caverns. Capri island is located in the Gulf of Naples. The best-known of these is the Blue Grotto, which is famous for its spectacular blue water reflection, but be warned: you’ll have to wait in line to see it! 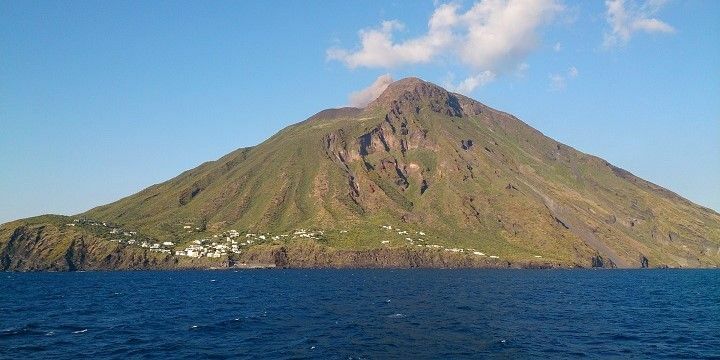 If you want to see more of Capri, its sister island, Isola d’Ischia, and the active volcano Mount Vesuvius, take a ride on the chair lift from Anacapri to the top of Mount Solaro (589m). The South of Italy isn’t just for sunseekers — it’s also a must-see for history lovers. Visit Pompeii and Herculaneum to find out what Italian life was like 2,000 years ago, when Pompeii was a bustling destination for wealthy Romans. Mount Vesuvius’ sudden eruption in 79 A.D., however, destroyed both Pompeii and Herculaneum, but their ruins are well-preserved for visitors to admire today. Alberobello is famous for its trullis. Head to Alberobello and Matera for some exceptional architecture. The first is known for its hundreds of trullis (white, dry-stone buildings, with cone-shaped roofs), dating back to the 14th century. Travel an hour west and you’ll reach Matera and its ancient sassi districts. Here, most people’s homes are built in caves buried among the tufo rocks, with small alleys running between them, and even over their roofs. Italy’s most-southern region stuns visitors with its natural beauty and fascinating landmarks. Tropea, for example, is home to small boutiques and bars for tourists to enjoy, as well as interesting historical sites, such as a medieval church, which sits on its own island, Santa Maria Dell’Isola. Don’t miss out on Reggio Calabria: located at the tip of Italy’s boot, this city is famous for its array of bronze statues. Be sure to visit the region's Aspromonte National Park, located in the Aspromonte mountain region. Mount Stromboli can be seen from the island of Sicily. From Reggio Calabria you can also catch a ferry to Sicily, the largest island in the Mediterranean Sea. Stay here for a few days to truly take in the magnificent mountains, including the volcanoes Mount Etna and Stromboli. Afterwards, hop on another ferry to Sardinia for white sandy beaches and impressive views of the Gennargentu mountains. Naples is a fantastic city, and a real treat for the senses. We had an awesome time — walking through the busy and colorful neighborhoods, browsing the street markets, listening to buskers, and eating our way through all of the pizza, pasta, and gelato! The food and wine is second-to-none, not to mention the limoncello! Top tip: Take a picnic up to Castel Sant'Elmo for a beautiful sunset — the views over the city and the harbor are breath-taking. Visiting Castel Sant'Elmo It was all great!